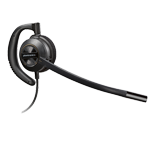 Corded Headsets Guide - Headsets Direct, Inc.
ARE CORDED HEADSETS YOUR BEST OPTION? There are three major things you need to consider, if you’re looking at purchasing a corded headset or comparing in a corded headsets guide. The first thing is if a corded headset is your best option, second is which wearing style and personal preference you would prefer, and third is your environment and how that influences your decision. To start off, there are many headset manufacturers out there. To name a few; we have Plantronics, Jabra, GN Netcom, Sennheiser, VXI, and several others. We won’t cover specific models or manufacturers and sales here, we will just cover the concepts of what to look for, how it fits, and what’s important in choosing a corded headset. That way you will be able to make the right buying decision and better understand a corded headsets guide. The first major concern is distance. A corded headset will be less expensive, but it limits you to roughly 10 to 15 feet of distance. You don’t want to get a telephone headset system and find you need a little bit more reach. When you consider wired headsets, you have a wire typically 15 to 20 inches long that terminates in a connection called a quick disconnect. This connection does not plug directly into your telephone. An amplifier or bottom cable is required depending on your phone, PC, or other device. The bottom cable or amplifier is what goes between your headset and your telephone, and it’s very important to understand that you have to talk to someone about compatibility before purchasing your headset. Every headset will work on every phone, but you need the right bottom cable or amplifier that is compatible, and there are many different cables, and they are all wired differently. 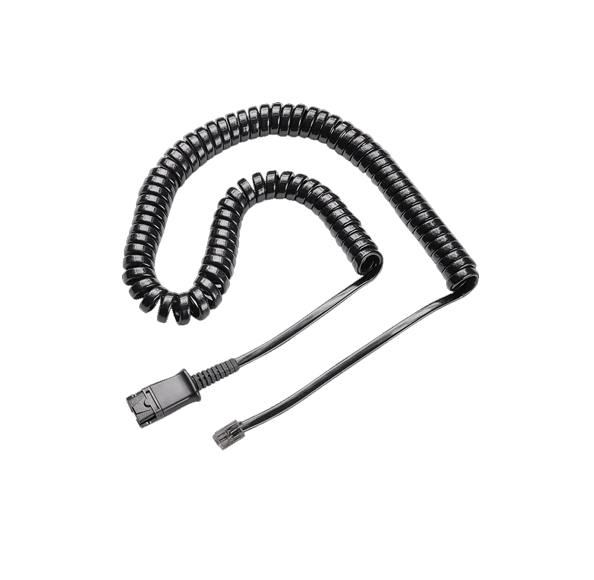 The bottom cable is coiled, and it will stretch, so it gives you about 10 feet of range, so with that and that headset cable together, you will have the ability to roll back in your chair, or stand up. For some applications, that works well, if you spend all day at your desk. But if you need a little bit more range than that, or if you want the ability to move around your office, that is where wireless comes into play, to give you more distance. So keep that in mind so you don’t limit yourself by staying within that range of fifteen feet. One nice thing is all the business-grade headsets have a quick disconnect between the bottom cable or amplifier and the headset itself. That means you do have the ability to leave a phone conversation without removing your headset or disconnecting the call. With the quick disconnect, you can pull the two cords apart at the quick disconnect. When you do that, it puts your call on hold through the headset, and when you come back, just snap it back together to continue your conversation. The quick disconnect is made to do that over and over; you won’t damage the connector. The second concern is wearing style, and that really comes down to your personal preference. There are several styles available with telephone headsets. First, there is an over-the-ear model. These headsets is a little bit lighter weight than the headband models. One important thing to know with the over-the-ear model is you won’t have a head band on your head, so if you are worried about messing your hair, or if you talk to customers face to face, and you don’t want something to be distracting, an over-the-ear model works really well. Lightweight and comfortable with good sound quality, the over-the-ear headset works well in the quieter office environment. These telephone headsets don’t work as well in a louder office, because they don’t seal off sound as well as some other models. The over-the-ear headsets have ear loops that hold the headset in place. Some ear loops are bendable and flexible, so you can get a good secure fit. Some models have an ear cushion, and some have ear tips that go in your ear, so once again, it comes down to what is most comfortable to you. But finding one that is a good fit for all-day wearing is what you’re looking for. The second wearing style is an over-the-head single-ear headband headset. With this style you get a little bit bigger speaker, so you will have better sound quality. The larger ear cushion means a better seal of noise around you, so you will hear your call better. The over-the-head headset works better in an average-to-loud environment. The single-ear headband models have an adjustable headband that is worn over the head, and a temple pad to provide a secure fit. So once you have the headset in place, it stays in place really well. The third style to consider is a dual-ear headband headset. When you cover up both ears, you will be able to hear better, and it will balance the sound. You will be able to focus on your callers better, and you won’t be distracted by others talking and noises around you. The more people you have in an environment, the better this headset style works. It’s amazing that if you switch everyone in a loud office from single-ear headsets to duel-ear headsets, the noise level of the entire office will drop drastically, because everyone is not trying to talk over each other. The only negative to going this route is you will have to put one side of the headset behind your ear if you need to talk to co-workers. The third and final thing to consider is your environment, and your environment plays a big factor in deciding which headset will work well for you. The over-the-ear headset works well in a quiet environment, but if you are in a call center or a loud office, that style won’t work very well. If you choose an over-the-head headset with a voice tube, the voice tube will give you the most crisp, clear voice going out, but they also need to be used in a quieter environment. The better option, if you choose an over-the-ear headset and work in a loud environment, is a headset with a noise-canceling microphone. The noise-canceling microphone picks up on your voice, and it can dampen the background noise. So in an average-to-loud environment , the noise-canceling mic will target your voice, and your callers will hear you better. With personal preference, you want something comfortable, but you also need to consider your environment. You don’t want to purchase a headset that limits your capabilities so you can’t hear very well, or your caller does not hear you with the background noise around you. So in short, those are the three main things to factor in, if you really want a corded headset; the distance you need, what wearing style you’d like, and what suits your environment. A headset really gives you a productivity boost, so you’re not trying to kink your handset up against your neck and shoulder, which causes neck and shoulder pain. You will be able to write and type freely and be heard clearly. If you have questions on any of these concepts, please give us a call at Headsets Direct, 1-800-914-7996, or visit us online at www.headsetsdirect.com and look at our corded headsets guide. We’re always glad to help everyone. We’ve been doing this since 1996, and we are certified by the manufacturer to be headset experts.